Here's the key to keeping your door open! 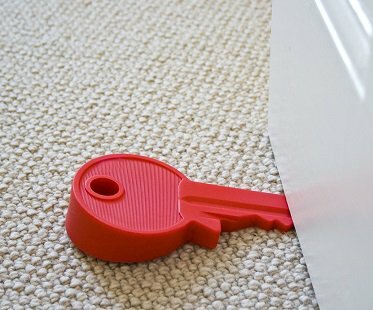 This giant key door stop is a fun and functional item for your home or office. Made from non-slip rubber and available in black and red.